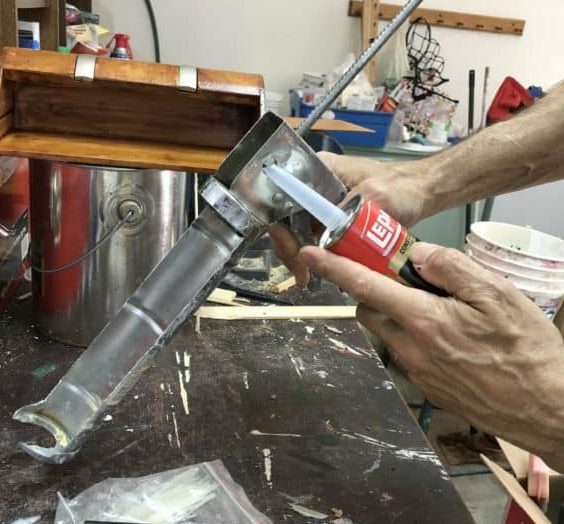 Whether you are using kitchen/bath silicone caulk, painter's caulk (the same as 'decorator's caulk'), glue or anything that you shoot out of a tube, you need to know the basics of how to use a caulk gun... it's not rocket science. 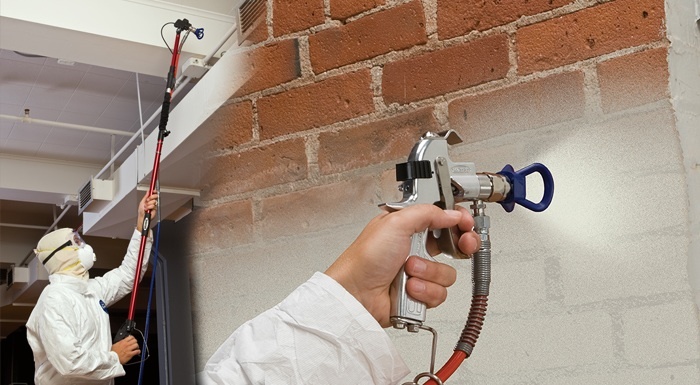 Be sure to see our other posts: Best Caulking Gun: The Real Top Guns! and the simple task of how to load a gun in How to Load a Caulking Gun. Plus a post simplifying the many types of caulk. My Q: I started as a painter over 40 years ago, so is the “35-year caulk” we applied in 1977 still good? Yes, no! To know how to work a caulk gun, be sure to check the end of this post to watch the videos at the bottom that show how to use a caulk gun. How to load a caulking gun? How do you get the bead of caulk so smooth? We smooth out the bead with a damp (not wet) finger or damp fine cloth for a smooth finish. See the video at the bottom. Some internet ‘experts’ poo-poo this. They read it in a book. We live it! It really doesn’t matter, despite what some “experts” say. If you push the gun away from you, you do force the caulk into the crack nicely, but nobody does that in our real world. Try it and you’ll see there is no real difference: you have to push to smooth the caulk anyway in most cases. Can you paint over caulk? Some yes, some no. Is your paint beading up on the caulk? Ok, it’s just a non-paint-able silicone caulk, but here is the fix. this second caulk will bond and you can paint! 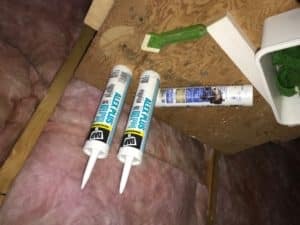 Why does my paint bead up on the caulk? How to use a caulk gun around a toilet? Don’t caulk a toilet if you get water on the floor and you don’t know why: caulk will trap water between the toilet and the floor and rot your floor! Do you insist? Use painter’s caulk (non-silicone) since it does not get wet (normally), here is a good one. How to use a caulking gun in a shower? Caution: toxic stuff below: around bleach and silicone caulk, please wear a respirator! Slice away any old caulk with a caulk removal tool. Careful! Have lots of rags (that silicone caulk will totally ruin) standing by to wipe excess – (tough paper towels work). Lay in your bead of caulk and mist it with a spray of alcohol and lightly wipe smooth (no spray bottle? Flick with your fingers). Don’t use the shower until it is dry (see the label or wait around 12 hours). Should you caulk around windows? Yes, definitely even if just for bugs. For new windows, begin with the large gaps. We like DAP Non-Rigid because joints expand and contract, but you can also use foam filler, a.k.a.Great Stuff (careful–it expands to 4x its original volume and is hell to clean). When that is dry, cut the excess if necessary and caulk the gaps. How big of a gap can I fill with caulk? 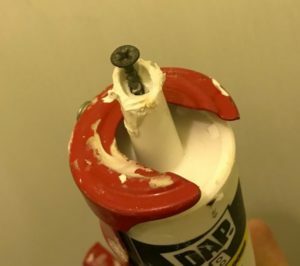 For gaps that keep coming back and for large gaps try this plastic caulking strip.It comes in other colors: just look around from the white linked above. Don`t try to fill large gaps the first time. If it will take 2 or 3 treatments, apply caulk to each side of the crack and let dry, and keep doing this until filled. Sometimes it`s best to first fill gaps with a strip of wood, drywall rock, or drywall mud or the fillers in the Q&A just above, etc. (Paper would work in a pinch, just to have some backing). How to use a caulk gun to get a smooth bead of caulk? For (non-silicon) caulk, just have a damp rag over your finger or use this low-cost finishing tool . Sometimes, you can lightly sprinkle water-based caulk with water to get a nice smooth surface. Too much water will dilute it and ruin the work. 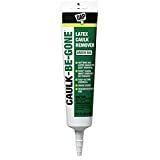 Some removal solutions don’t really “remove” old caulk, but can make it softer and loosen it somewhat. Silicon caulk is the toughest! We like Ole' Mr. Motsenbocker's stuff: Lift Off will loosen the caulk. Spray, wait, scrape, wipe. 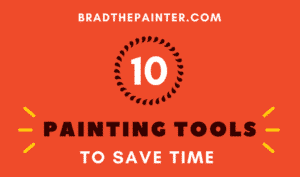 I often use a razor scraper as a caulk removal tool – it’s fast and safe. A good deal for under $12. Also good for cleaning glass. But get most of the old caulk out with our trusty 5-in-1 tool . Don’t rush this: it requires a bit of patience. Rags – Have lots of rags ready (not Terri-cloth or other rough stuff), and if water-based caulk, just toss them in a bucket of H2O for a day, and the caulk falls to the bottom of the bucket! Clean rags again! Keep the rag moving – switch to a clean section after every wipe. Smoothing tool – a fingertip works ok, but you can get splinters! For a clean look, we use a low-cost finishing tool just for smooshing. I said “Smooshing”! Masking tape – we don’t use it normally, but for the disgusting silicon shower jobs, it is helpful – when you pull the tape off it can leave a ridge: smooth it as described above (alcohol or water lubricants). PCBs will kill you and you are buying them in silicone caulk. Instead, look for a low-VOC claim on the tube, but if you don’t have low-VOC caulk, please wear a respirator! We have a post to make the crazy world of filters and masks digestible. Read the US Government’s research: PCBs in building materials such as caulks and sealants are a largely unrecognized source of contamination in the environment. This respirator mask (size medium fits most) and you need chemical filters and it helps to have an outer dust filter. Air will dry out an open tube in a day or two. The little cone-shaped caps that some tubes come with don’t work well to seal tubes. Just want to keep it fresh for a few days? Ok, use the little cone cap, wrap tip with plastic or stick in any old nail or screw. Most will not really start to rust so soon. Rust? The bane of a painter’s life. Rust in caulk will bleed through paint and then you need a nasty primer. So if you see rusty caulk near the screw or nail plug you used, discard what is discolored. For long term storage, insert a screw that will not rust such as a brass screw or deck screw (not drywall screw as shown below) and if you like, wrap plastic around that to seal in the moisture. This drywall screw will rust but it is fine for overnight. Rust in caulk will bleed through most paints: an icky stain that needs a special primer. You cannot keep an opened tube for very long in any case. I store my rarely used tubes (like browns) in large plastic bags with some water inside to slow the loss. Yes: don’t buy a lot and think you can keep it for years because it is in a sealed tube: just buy it when you need it. Plastic tubes do breathe! Check for an expiration date. Once you open it, try to use it all or store as in the Q&A just above. Painter’s caulk (a.k.a decorator’s caulk) also goes bad but not as quickly. I store mine with a brass/galvanized screw or nail (they do not rust…see why just above). I keep opened tubes in an air-tight plastic bag with some water in there to keep the tube for long periods. See my video at the bottom about how to extend the life of all tubes, including glues! You can use a condom but I have heard people don’t like them! “Don’t be a fool: cover you tool”! Should you use caulk before or after priming? Is caulk the same as a sealant? What’s the difference between silicone caulk and painter’s (decorator’s) caulk? How to use a caulk gun around a bathtub? How often should caulk be replaced? How do you remove mold from caulking? Before is best: basic painter’s caulk (“acrylic latex”) adheres better to primed wood/walls, plus it’s easier to see cracks that need caulking after they are primed…so, yes, but not a necessity. Sealants are made from flexible material, usually silicone. Caulks fill gaps that don’t move (much). Check out the Goop. Oh, how I love my Goop. Elasticity. If you have a nasty wall crack that keeps coming back year after year (due to heat/cold), try filling it with an elastic caulk. Warning: paint on these will crack as the caulk stretches! My solution: live with it. Ah. I’m done. How do you caulk around a bathtub? Be sure to purchase waterproof caulk for the bathroom. 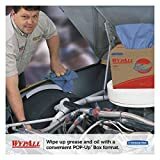 Also be sure the surfaces are clean and dry and have rags ready to wipe up the excess. They make colors that somewhat match: almond, gray, etc. See Section 7 below. Easy one: whenever it cracks, gets ugly, or comes loose! Bleach/water 1:3 will do it. This is a deadly poison, so wear a chemical respirator (good to have around the house at all times). Having killed the bacteria, you can now put fresh caulk over the old and the mold should not grow back. This removal tool can be very useful at only about 5 bucks, and Allway is a known brand in the biz. DAP makes a product that softens old brittle caulk for easy removal. Don’t forget : works on sticky label glue too. No. I read some dude on the internet saying that you can, but you cannot. It just scuffs and rolls up into little balls and needs more caulk after you “sand”. Just caulk carefully knowing that you are leaving it the way it will always look, even painted.